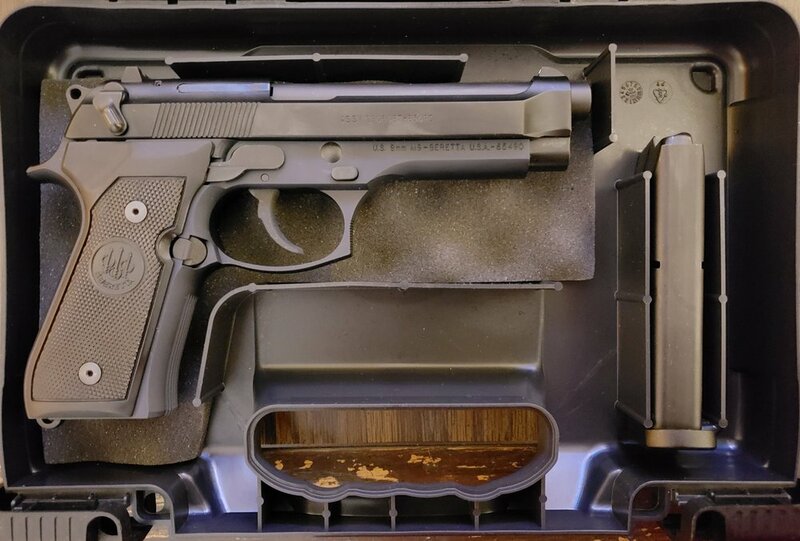 An M9 Beretta, laying in it's safe. Photo by Erick Chairez. The process of purchasing a firearm is long, extensive and even boring, but it is not difficult unless you’re an impatient person, have a criminal record or a mental disorder. The process starts with a simple test that can be done in almost any place where firearms are sold. The test must be purchased for $15 and will consists of 30 easily answered questions. You can’t get more than six answers wrong, or else you fail the test. Once you pass, there is an additional fee of $25, and the fee has to be paid in cash. Once the fee is paid, your firearms certificate will be signed and given to you by a firearms dealer. 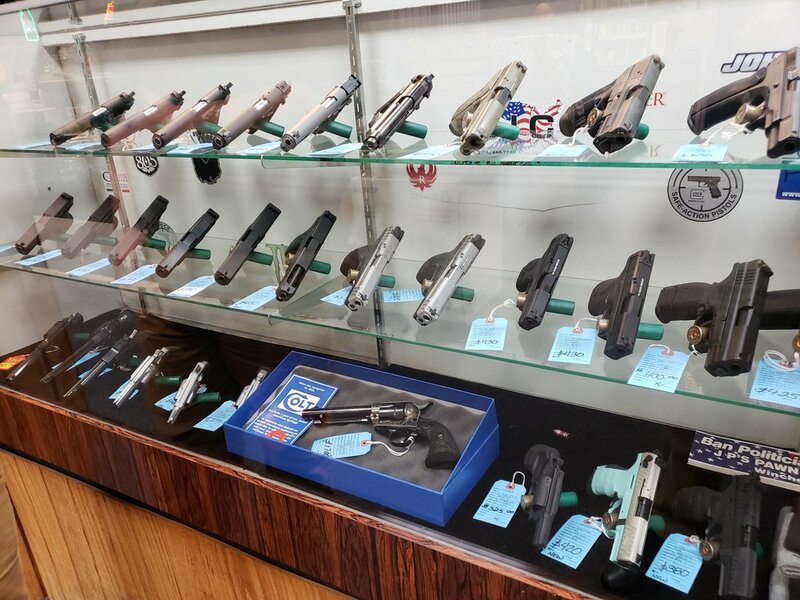 The variety of pistols for sale in a pawn shop. Photo by Erick Chairez. The next step will be to get the proper paperwork to show that you are a legal citizen and a resident of the United States. A California ID, a firearms certificate and proof of residency will be needed in order to begin the process of actually purchasing the firearm. It's recommended you decide what you’re looking for in a firearm before you go into a firearms shop. The gun on the left is an M1911 and the one on the right is an M9 Beretta. Both guns are still in military service. Photo by Erick Chairez. Once you’re in a gun shop you will have to show some ID in order to handle and sample the firearms. Once you notify the firearms dealer what firearm you want, you will begin working on the paperwork. The paperwork is to confirm that you don’t have a criminal record, and make sure that you are mentally fit to own a firearm. When you’re all done with the paper work you will then receive your receipt. You can choose to pay the firearm in full or pay part of it at purchase and pay the rest after the 10 day wait. It will cost you $30 for a background check that will have to be paid separately from the down payment. A receipt will be given to you that you will use after your 10 day wait to pick up your gun. A gun display with a dealer waiting for customers. Photo by Erick Chairez. The 10 days have passed, and you are ready to pick up your firearm. Again, you will need your ID in order to claim your firearm. If you do not pass the background check, you will not be able to claim your firearm, and there will be no refund. If you did pass the background check, you will be instructed on how to operate the firearm, and then the firearms dealer will let you try it. After you safely handle the gun and finish asking questions, you will receive a safe box and a lock for free. Then, you will be given permission to leave with your new firearm and take it home. 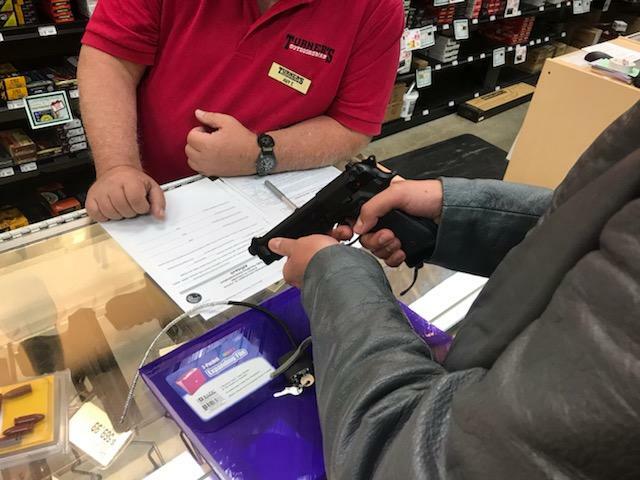 Erick Chairez purchasing his firearm. Photos by Miguel Ontavaros.